The butterfly effect is a metaphor that simply states that small differences in the initial condition of a dynamical system may produce large variations in the long term behavior of the system. The flapping wing represents a small change in the initial condition of the system, which causes a chain of events leading to large-scale alterations of events like a domino effect. Had the butterfly not flapped its wings, the trajectory of the system might have been vastly different. (Thank you Wikipedia). 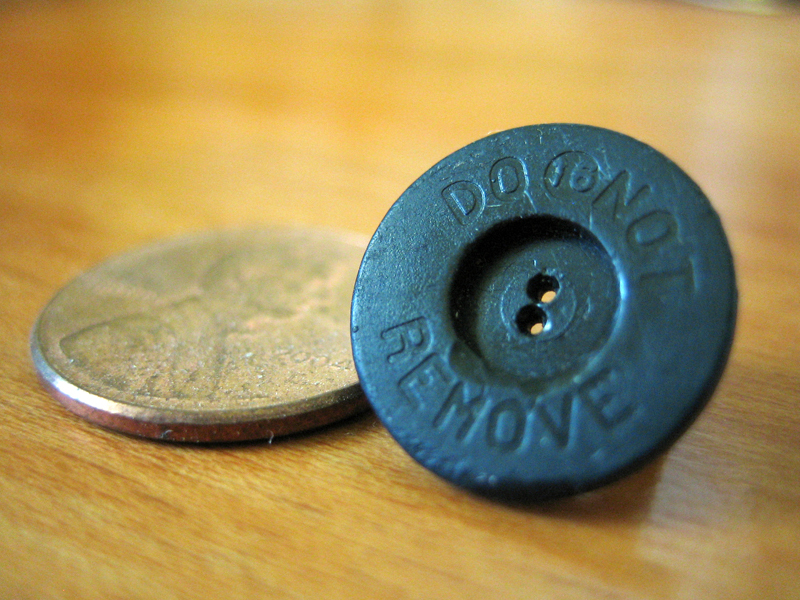 Well, at first glance, it looks like a button for pants – though not sure why it’d say “do not remove” (unless the manufacturer is warning you of a possibility for pants falling down upon removal?). But the sci-fi geek in me thinks it may be a special plug for a button-sized worm-hole that links our world to another dimension. Kind of like a man-hole cover.